Forget long-tail keywords and countless backlinks. The world’s number one search engine, Google, has recently introduced new search indexing techniques, bound to continue throughout 2018. At first, it may seem discouraging for every marketer out there, having to learn and adapt to these rather impossible ways. However, with some brainstorming and a few great ideas, we’ll soon be bound to follow these newly-created trends to try to make our way to the top. Users nowadays don’t have the time and patience to open websites from specific (to the site) devices. They rather use whichever device comes first at hand and if the link takes too much to load or has some bad navigation, it is closed and replaced with a better quality one. Every marketer out there knows that low bounce rate is what every website strives for, as it’s a strong indicator of high-quality links/content. Moreover, it shows good user experience and there’s a good chance some of this content will be used as a featured snippet by Google. This is very good news for every small business promoting their products on the Internet. What does it mean? Basically, Google will soon replace the old ‘authoritative first’ algorithm with a new one, the ‘buy, not find’ information. So far, searching for a product online usually gave results of high-ranking sites with information on the product rather than quality websites actually selling this product. 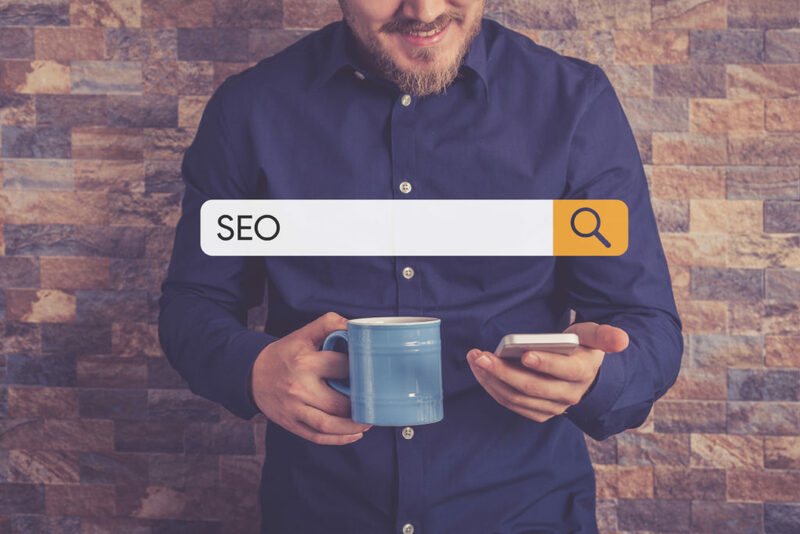 It’s called ‘optimization for intent’, meaning keywords will identify the intent of the search and won’t be measured according to how authoritative the keyword/website is but show the most precise product results. In 2017, more than 20% of all Google searches were made by using voice search. This year, it’s expected to increase. From an analytical point of view, it does appear difficult to predict the new ‘wave’ of keywords, but by the end of the year, we’ll already have a plethora of algorithms to help us better understand Google’s voice search keywords. To confirm this trend, users have been asked of how useful the ‘Google Search’ app is. Many responded positively to it, saying it makes it easier to find what they are looking for and more importantly, it saves them time on typing. As much as we’d oppose this new way of searching stuff on the Internet, sooner or later we’ll all be using it. Optimizing SEO for voice search is a priority for many companies nowadays. This year, Google decided to surprise us with some more changes regarding its priority indexing. Since almost 2/3 of all searches are made on our smartphones, it was about time to change the ranking system. This new way of ranking pages will cause a major shift in results, although it’s for the best considering how some top-ranked pages still haven’t figured how to improve user experience on their mobile versions. The perfect site navigation, quick load time and flawless design will guarantee you a first-page spot for sure. Getting recognized by Google’s algorithms is probably the most amazing thing an SEO expert can accomplish nowadays. Getting your content seen as relevant by thousands of visitors means you’ll rank up at the top and as a bonus, receive a major traffic boost (and cash from ads) by Google itself. Here, predicting and answering specific questions in short, precise manner is the key to acquiring a top spot, making it easier for Google to crawl and fetch essential information. Start changing your marketing techniques today, to keep up with the rest, or else find your content after hitting the ‘next page’ button.